There are many types of Texas life insurance policies to fit individual needs and circumstance. 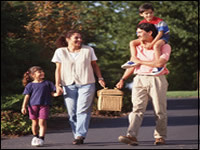 The following are some of the basic types of life insurance policies available in Texas. Term Life Insurance - The simplest form of life insurance. You purchase coverage for a specific price for a specified period. If you die during that time, your beneficiary receives the value of the policy. There is no investment component. Whole Life Insurance - Similar to term insurance, but you purchase the Whole Life Insurance policy to cover your "whole life" not just a set period. Premiums remain level throughout the life of the policy, and the company invests at least a portion of your premiums. Some firms share investment proceeds with policyholders in the form of a dividend. Many companies will offer "a relatively low guaranteed rate of return," but in reality pay at a rate in excess of the guarantee. Universal Life Insurance - You decide how much you want to put in over and above a minimum premium. The company chooses the investment vehicle, which is generally restricted to bonds and mortgages. The investment and the returns go into a cash-value account, which you can use against premiums or allow to build. A variation of a universal life policy, often called variable universal life policy, allows policyholders to choose investment vehicles. Variable Life Insurance - With a variable life inurance policy, there is usually a wider selection of investment products, including stock funds. As with a universal policy, returns on investments can offset the cost of premiums or build in the account. And depending on the type of policy, the beneficiaries will either receive the face value of the policy or the face value plus all or part of the cash account.